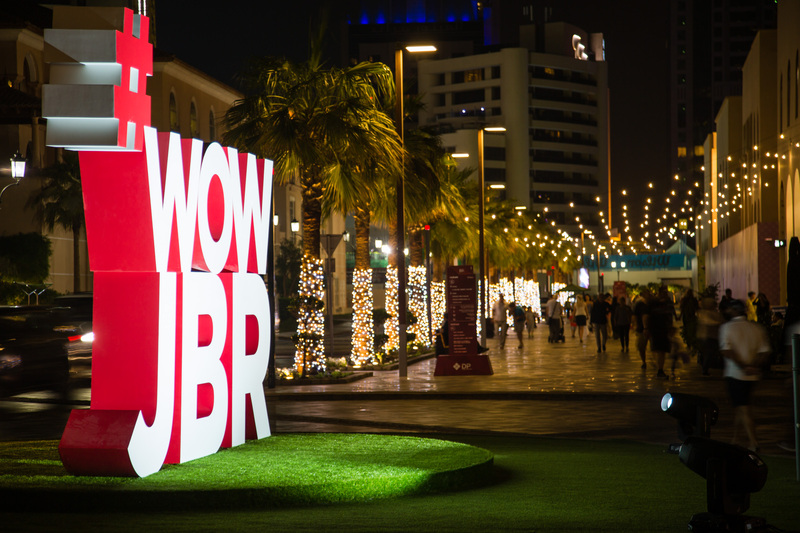 Dubai-UAE: 07 November 2018 – Dubai’s premier beachfront destination, Jumeirah Beach Residence (JBR) by Dubai Retail, will welcome the second season of its popular #WOWJBR festivities. From 15 November, the city’s premier neighbourhood will transform into a hub for entertainment, art, music and activities that families, friends and couples can enjoy for free over the upcoming weekends. Launched last year, #WOWJBR is an interactive and vivid celebration of arts, combined with live entertainment acts and a series of amazing experiences. Set to run for over 20 weeks, this season’s #WOWJBR festivities will feature an exciting schedule of activities, with each month dedicated to a unique theme. From a Carnival theme that will take visitors on a journey to the vibrant lands of Latin America and the entrancing circus in November, to a Festive theme that celebrates the UAE National Day and the jolly winter festivities in December, this season’s calendar promises to keep both adults and kids enthralled. The Mind and Soul theme, in January, will focus on the element of nature and well-being, while the International theme overlapping with Chinese New Year in February, is set to enchant guests with traditional East Asian practices, such as Taiichi and the much-loved dragon dance. The Arts theme, in March, will see eclectic expressions of art come to life through captivating installations, roaming art displays and a delectable food festival. Live bands, parades, and roaming performers will delight visitors with their dazzling shows. From Latin bands to samba performances, traditional Emirati dances, daring acrobats, jazz recitals, and much more, the variety of talent on display this year will dazzle visitors. 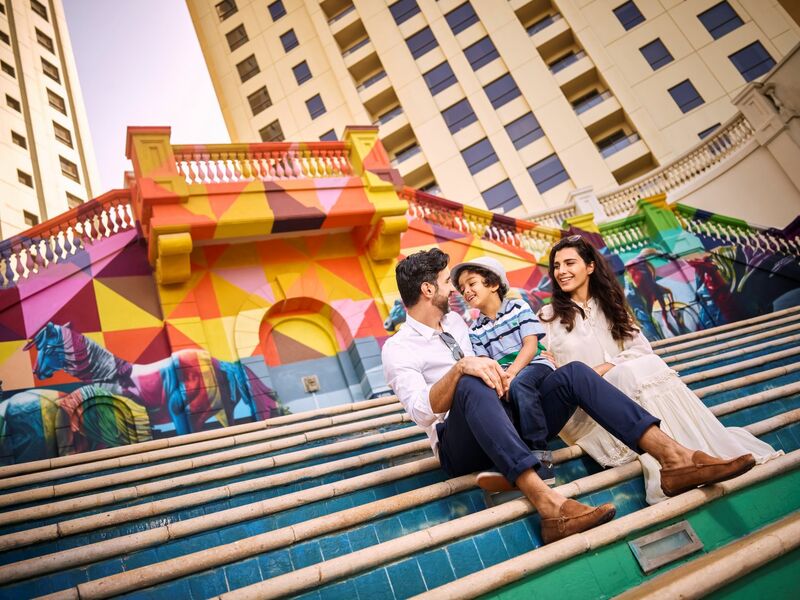 Guests will be able to stroll on JBR’s 1.7-km promenade under a bright canopy of lights and take fun selfies at the engaging photo-wall. Holograms and 3D mapping will bring the destination to life, while a larger-than-life Rubik’s Cube will challenge visitors to win exciting prizes. Seamlessly blending art with the surrounding environment, the playful installations will encourage visitors to explore the venue with a sense of awe and wonder. A dedicated children’s zone will keep the little ones busy with interactive workshops and activities, while parents can indulge in delectable meals in nearby restaurants and cafes. This season will also see the launch of ‘Movies Come to Life’, an outdoor cinema screening experience that will feature fan-favourite roaming characters, interacting with visitors. Also returning to #WOWJBR this season, is a 10-day music festival that will see local and international performers take over the five dedicated stages at the venue to wow guests with spectacular performances. The first season of #WOWJBR ran for six months from November 2017, and the successful event has become a much-anticipated occasion on the Dubai calendar.